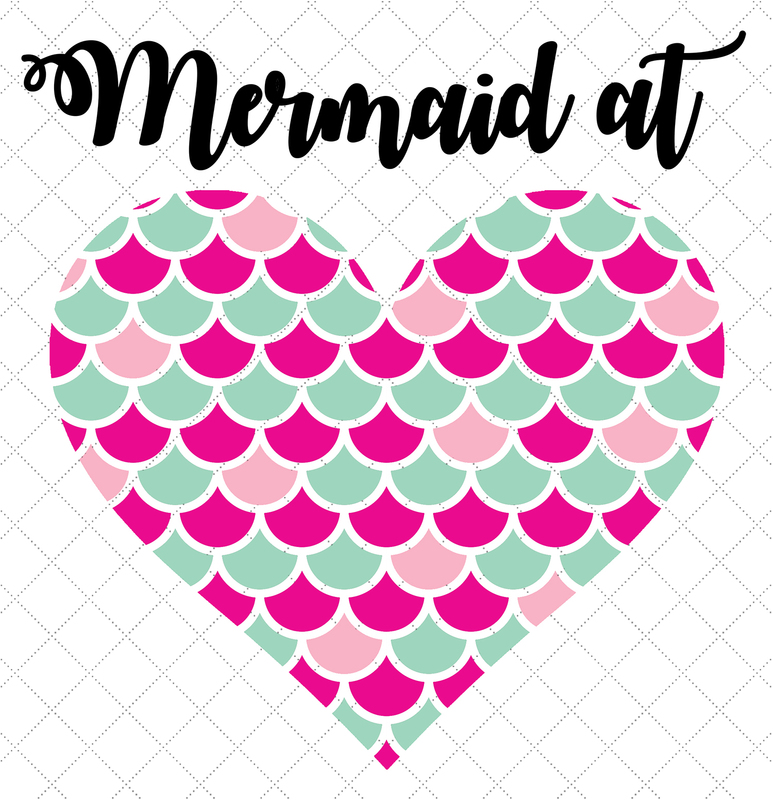 Are you a “Mermaid at Heart?” Use our cute Mermaid SVG file to make your own mermaid shirts, hats, water bottles, mugs, and more! 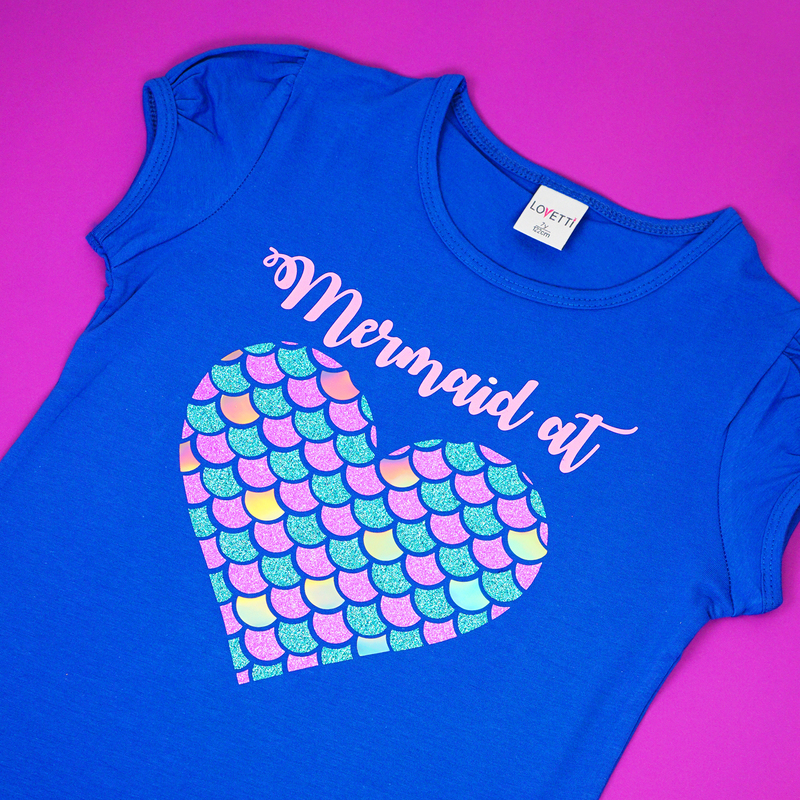 In case you hadn’t noticed, mermaids seem to be everywhere these days, from shirts and hats to mermaid blankets, mermaid swimwear, and even sparkly wearable mermaid tails that you can actually swim in! I’m fairly certain that this hot trend will be sticking around for a while! My niece loved her Snuggle Bunny Easter shirt that I made her so much that she requested that I make her a mermaid shirt (and a unicorn shirt, and a Wonder Woman shirt, and a rainbow shirt…so stay tuned for those as well! 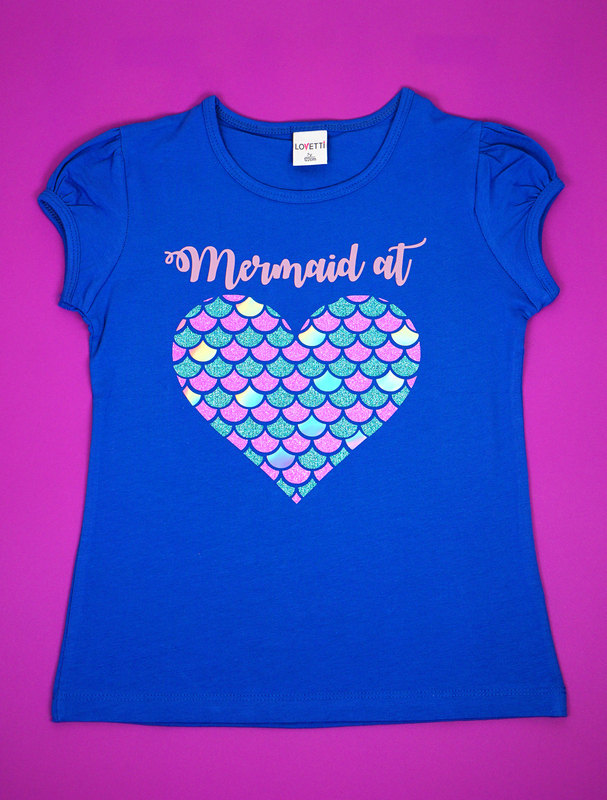 ), and I thought this “Mermaid at Heart” design would be perfect for her! 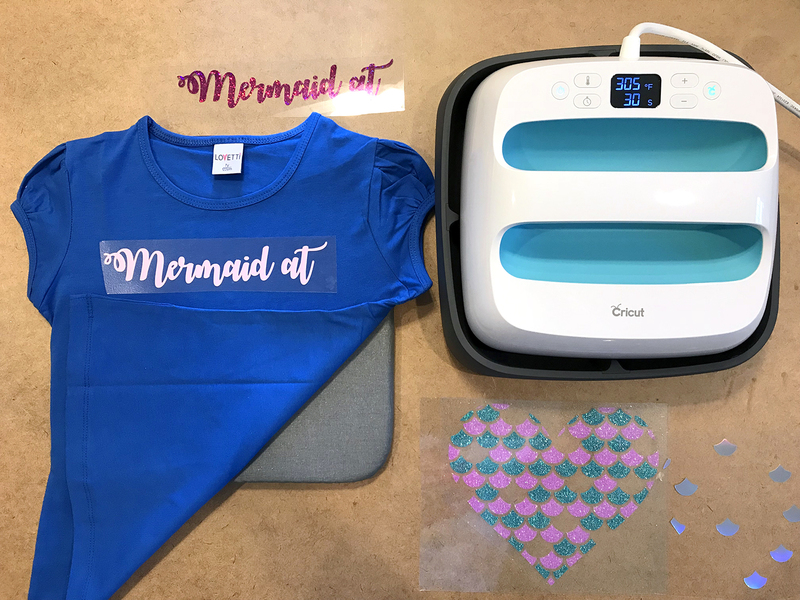 I had a chance to test out my new Cricut EasyPress Mat while making this shirt, and I love it! The surface is nice and smooth, and it has just the right amount of give to it – lightyears better than the old towel I was using before! 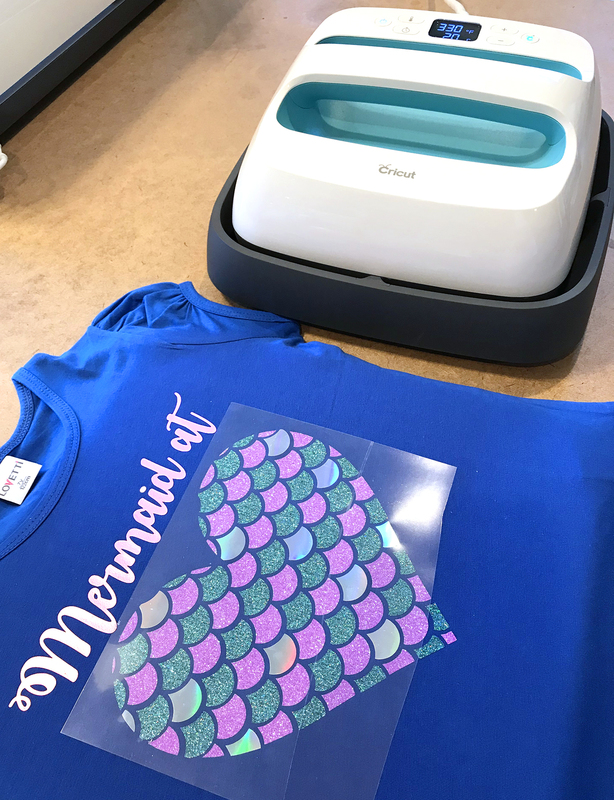 I absolutely love the combination of glitter and holographic iron-on for this project! The silver spectrum scales shimmer with every color of the rainbow, and it takes the shirt to a whole new level of pizzazz! It’s hard to capture on film, but the Electric Pink text also has a nice pearlescent metallic sheen to it as well. It’s so pretty! I seriously LOVE how this shirt came out, and I think that I need to make myself one to match now! 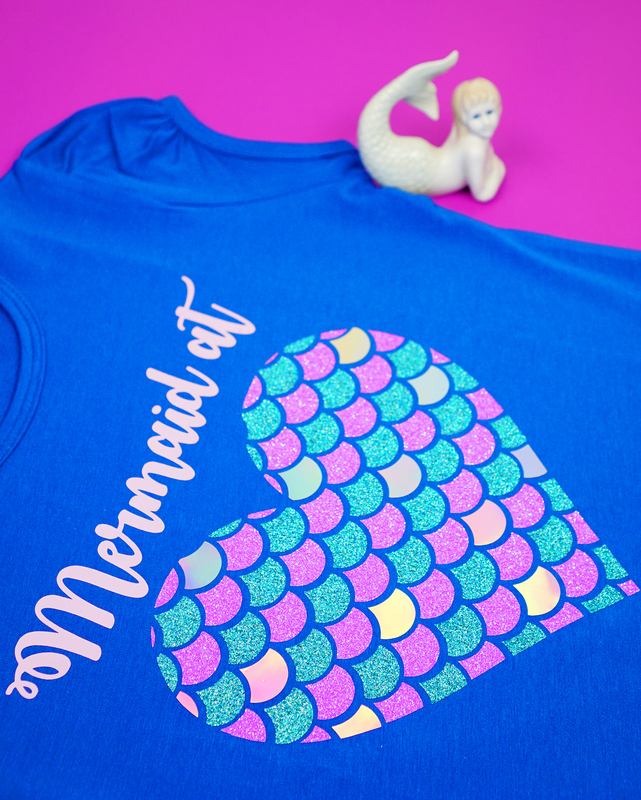 Pin This Mermaid Shirt for Later! « 50+ Quick & Easy Kids Crafts that ANYONE Can Make!